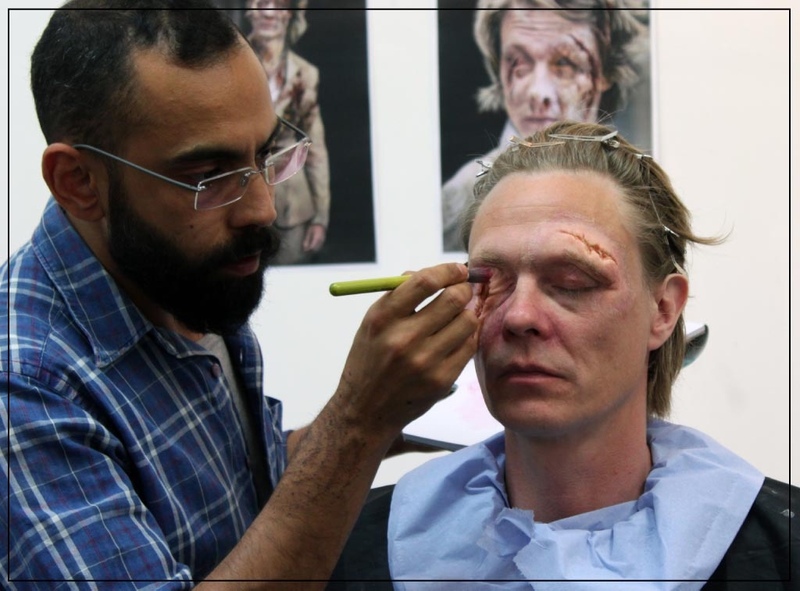 Sangeet Prabhaker is a well-known prosthetic makeup all rounder and innovator. He will be taking part in Prosthetics Jam on the Education Stage, where he will be demoing his unique take on the ‘contoured transfer prosthetic’ method that he’s been working to further refine – there are a couple of images in the selection below that show what he’s busy preparing for this. Sangeet has been working in the industry since 2002; he freelances internationally and operates StudioSangeet, collaborating with other UK artists to design and make props, puppets and costumes as well as make-up FX for which his clients include Playstation, Kanye West, Aldi, Mentos, Square Enix and Stella Artois. His film and television credits include ‘Red Dwarf’, ‘Prison Break’, ‘Dark Knight Rises’, ‘Dead Snow 2’, ‘Game of Thrones’ and up-coming sci-fi movie ‘The Titan’ to name only a few.